“Talking With the Enemy,” consensus article published in The Boston Globe and actions to reduce the threat of attacks and use of violent rhetoric in the abortion debate. help de-escalate the polarization among pro-life and pro-choice groups. With a consensus article entitled “Talking with the Enemy” published in The Boston Globe, the pro-life and pro-choice leaders went public with their experiences of participating in the talks. In response, the leaders received thousands of communications from around the world expressing support and hope because of their efforts. 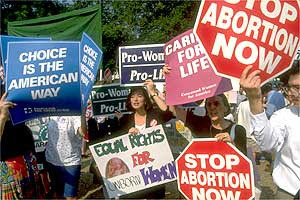 The leaders acted to reduce the violence in the rhetoric of their organizations and protect against recurring violence, including contacting the FBI when a threat emerged against a pro-choice participant and telling an activist supporter of the shooter that he was not welcome in the Commonwealth. The six leaders remained firmly committed to their stance on abortion, but gained profound respect for each other and deepened their understanding of the issues that divide them. To this day, more than twenty years after their initial meeting, they continue to meet to jointly to celebrate personal accomplishments and mourn losses.